As I was reading this book, a student saw me reading it and asked what it was about, I had to think for a few moments before answering. “It’s about terrible people in a terrible place, doing terrible things to each other,” I said. And that really does just about sum it up. The story that McCarthy tells is a complete destruction of the mythology of the Old West that Americans had come to know and love over the years. Some of the more modern Western films had begun to explore this territory when the book was published in 1985 – many of Clint Eastwood’s films spring to mind – creating a West where the “hero” is just the least bad person in the film. Even then, though, there are still undercurrents of the nobility of the cowboy, out to tame a savage land for the good of a civilization that will no longer need him when it’s done. 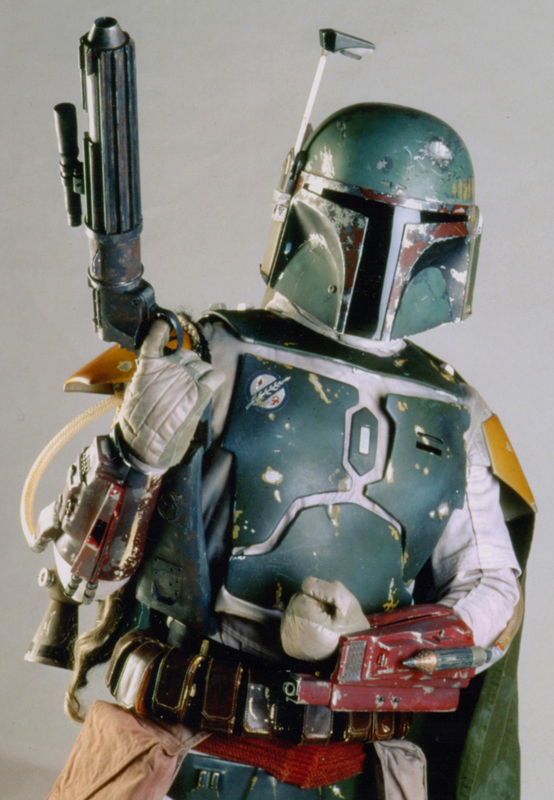 Next to these bounty hunters, Boba Fett is practically Gandhi. This book features characters who are violent and vicious, thieves and murderers who will stop at nothing to get what they want. It starts with the nameless Kid, a young man who joins a group of bounty hunters riding the US-Mexico border in the years before the Civil War. They’re ostensibly looking for Apaches, bringing back scalps for gold, but they’re not especially picky. Any black head of hair ripped from the head of its owner will do, and if that means ravaging some small Mexican villages, then so be it. The bounty hunters are led by Judge Holden, a man who gladly takes his place as the antithesis of everything that was supposed to be right and good about the old west. In both form and philosophy, Holden is barely human, and he only becomes less human as the book goes on. Insofar as the book has an antagonist, it is he. The Judge, on the other hand, is impossible to miss. He holds court out in the wilderness and expounds upon his philosophy of the world. He is huge and pale and clean, standing out amongst the filthy and starving band of killers that he’s assembled. Whenever he’s off-stage, you find yourself wondering when he’s going to show up again, and how much worse things will get when he does. Kind of like this, only worse. Much, much worse. Another image that McCarthy decides to destroy is that of the Native Americans as being honorable heroes, out to save their land from white invaders. Just as the cowboys of old were not all knights on horseback, the natives of old were not all noble savages who resorted to violence only as a last resort. 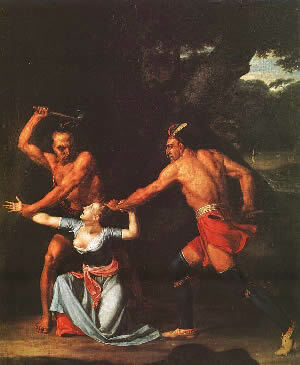 The Apaches – and other native Americans in this book – are just as violent and bloodthirsty as their American and Mexican counterparts. Everyone, regardless of background, ultimately resorts to violence and savagery, throwing aside all morality in the name of either profit or survival, or simply the demonic glee of seeing things destroyed. No one comes out of this book looking good or ultimately redeemed. All are villains. All of this made it something of a tough read for me. Not because of the scenes of horrifying violence – I can deal just fine with those – but because there was no one I wanted to like. I mean, I was fascinated by The Judge, but with that same kind of fascination that made me watch tsunami videos or that made people visit Ground Zero in New York City. It’s horror on a scale that we hope never to experience in our own lives, but we can’t look away. Without someone to like, it was hard to care, and when it’s hard to care about a book, I find reasons not to read it. The writing was amazing, don’t get me wrong. McCarthy’s use of language was a joy to read, even if his refusal to use quotation marks got me a little annoyed from time to time, and I sometimes found myself reading passages out loud in the voice of Sam Elliott. In describing the landscapes of the West, McCarthy turns nature itself into a character, one that is every bit as violent, dangerous and hateful as the humans traversing it. In addition, he does a very good job with the pacing of the book. The narration tends to grow as the book goes on, with sentences becoming longer and more elaborate as they unspool across the page, some taking a page or two to themselves, only to be stopped short by a single line or a rapid exchange. It’s hypnotic in places, and something I wish I knew how to do half as well. All that aside, though, the only thing that really kept me going – other than the writing – was morbid curiosity. That, and the hope that I would figure out what McCarthy was trying to say in the book. What it all means. 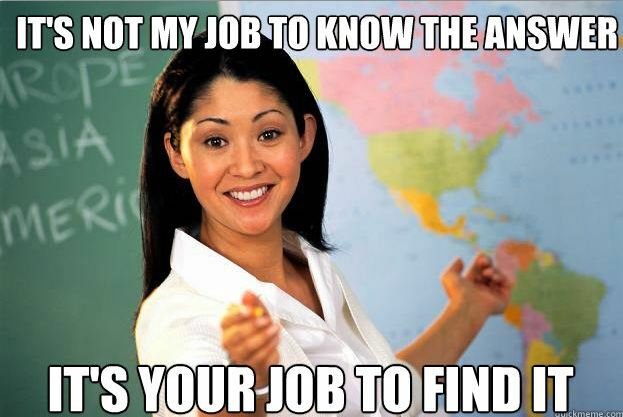 And that, friends and neighbors, is one of the pitfalls of being an English teacher. Always looking for meaning in things, for the bigger picture, the author’s Big Message to his readers. And as far as I can tell, McCarthy’s message is that man is a savage, terrifying animal, capable of cruelties that the average book-buying person cannot even begin to contemplate. The horrors that are depicted here are so brutally displayed and so viscerally described that we eventually become numb to them – which is a new horror by itself. There are things depicted in this story which should evoke nothing less than absolute moral condemnation, a rejection that such things should be possible to contemplate, much less carry out. So when you find yourself glossing over these horrors as though they were mundane, it’s jarring. As you read, you want to keep a distance from the monsters populating the book, but isn’t ignoring their evils a kind of acceptance? And do you really want to be the kind of person who accepts these things? At the same time you’re trying to convince yourself that real people shouldn’t be capable of the acts you’re reading about, you end up accepting them. Maybe that was what McCarthy wanted all along – for the readers to look at how we view violence and what our understanding of it really is. To force us to re-assess the limits of what we will tolerate and why. To make us look again at our heroes and villains and try to figure out exactly what the differences are, and whether we are really that far removed from them. Or maybe McCarthy just really likes writing this kind of thing. Either way, it’s a fascinating read, one that will linger with you long after you’ve finished the book.